Public services fees in the UAE will not be increased for a period of three years, the UAE Vice-President announced on Wednesday. "We decided not to increase the federal fees during the next three years to restore the economic and social stability of the state and to support our industrial and commercial sectors and attract more foreign investments," said His Highness Sheikh Mohammed bin Rashid Al Maktoum, Vice-President and Prime Minister of the UAE and Ruler of Dubai. He made these comments as he chaired the UAE Cabinet meeting. He stressed that the UAE prioritises the socio-economic stability of citizens and residents. "UAE competitiveness is the main priority for the government, and the next term will witness the launch of many new social development initiatives, and other initiatives for the UAE youth to make them directly benefit from our journey of development," said Sheikh Mohammed. The UAE Vice-President also approved a new "national strategy for advanced innovation, which aims at improving the governmental future designs". It would create new economic fields "that focus on human welfare". 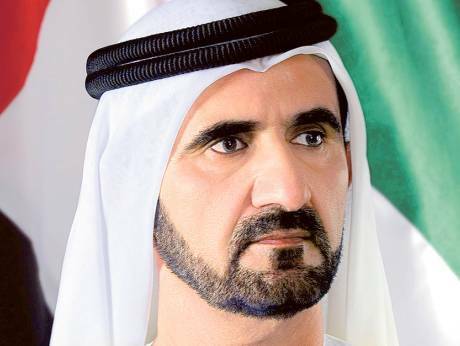 The strategy would focus on innovation in the health, transportation, future techniques, water, environment and space technology development sectors, Sheikh Mohammed said. "Our goal is to change the mindset of the government and private sectors towards devising solutions for the future," he added. A new railway regulation bill to pave the way for a railway network to transport passengers across the emirates. A decision to issue multilateral entry visas for six months for ship crews and sailors to boost maritime tourism.